2018 PTAX-340, Senior Citizen’s Assessment Freeze Homestead Exemption Applications were mailed December 31, 2018 to seniors who have previously participated in the exemption program. Seniors are encouraged to file the applications as soon as possible. The last date to apply is July 1, 2019. The front page of their 2018 Federal Income Tax form (1040)…or…. If you do not file income tax, bring ALL income, pension and interest statements for 2018. Please call 815-895-7120 for assistance or further information. 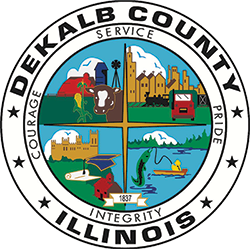 The Senior Assessment Freeze Exemption is not a pay-back program and should not be confused with the Real Estate Tax Deferral Program available through the DeKalb County Treasurer’s Office.